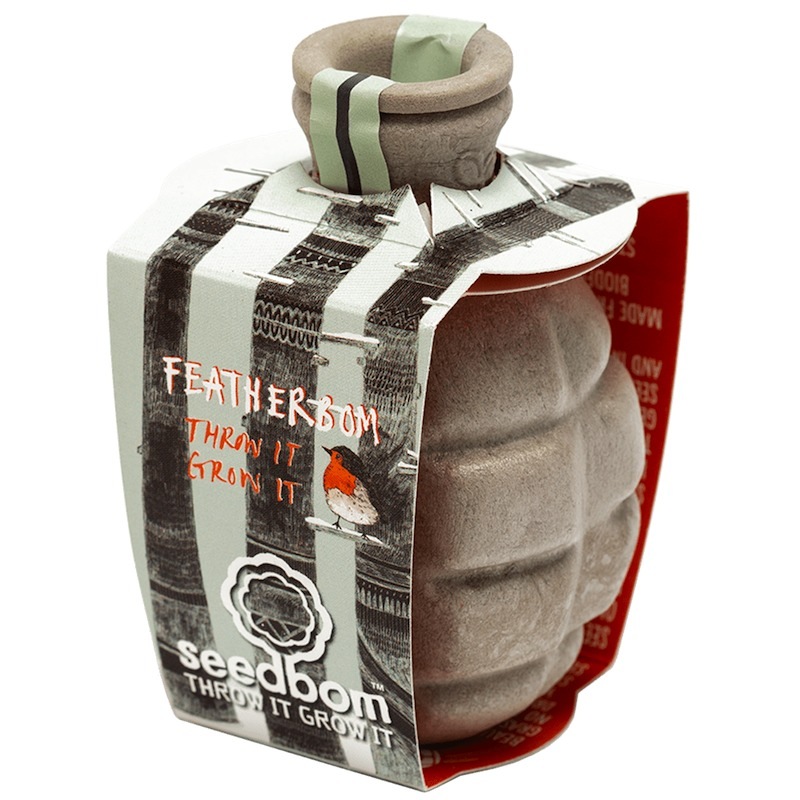 Featherbom is a seed bomb containing a wildflower mix to attract butterflies and bees during the summer and produce grains and seeds for birds during the cold winter months. Full instructions are included on inside of each Seedbom sleeve. A 100% biodegradable seed bomb to start a feeding frenzy! Shaped like a grenade this mix of nectar rich wildflower seeds will launch your garden into a feeding frenzy.